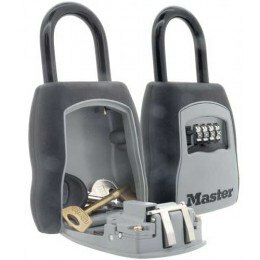 The Master Lock 5412D Key Safe is 3 times heavier than similar models. Reprogrammable mechanical push button 4-6 digit pin code - no batteries required. Weatherproof and corrosion resistant with a hinged door that folds down when opened. 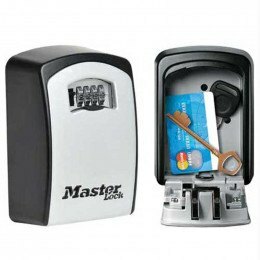 Large enough to secure larger keys or credit card size swipe cards. 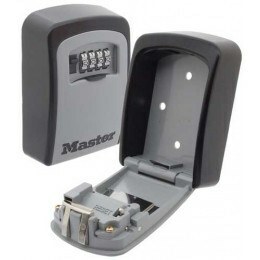 Masterlock 5412D external key safe fitted with push button combination. 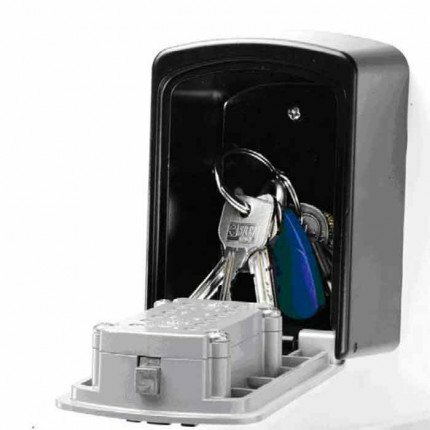 This outdoor key safe has a 12 button personalised combination. Manufactured from solid zinc and with a thermoplastic cover which makes it very weather resistant. Ideal for the storage of keys, credit cards etc. Hopefully it will not get any use, it is for emergency use only. Can I just check if the internal dimensions of 102 x 68 x 53 is actual useable space or does the mechanism take any of that space? The internal width and height are unrestricted, but the depth is, due to the depth of the locking mechanism, which is 30mm depth, leaving 23mm for the keys. 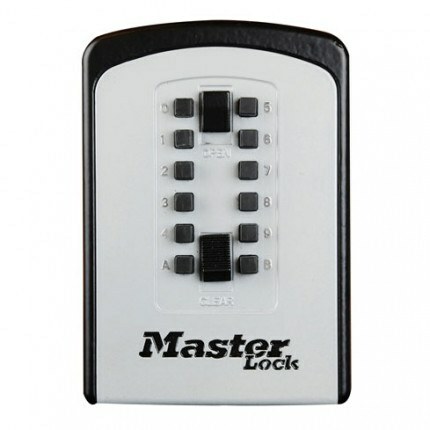 The Master Lock 5412 Key Safe is supplied with screws and wall plugs for fitting to a solid wall. The Screws supplied are 4mm diameter x 30mm in length. If you need to attach via a cavity or wall covering you would just need to purchase 4 screws of the correct length. 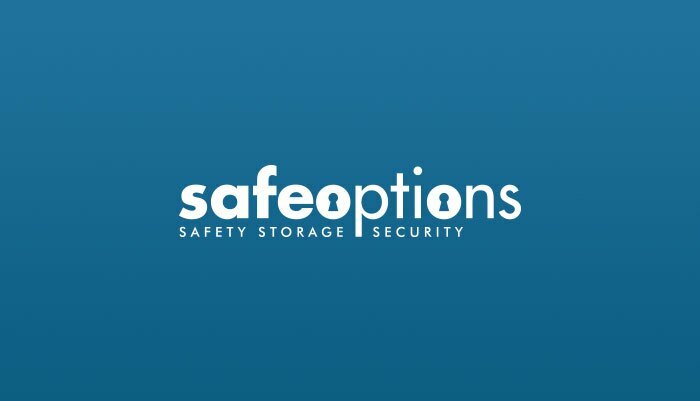 All key safes are supplied with either screws or expansion bolts to fit directly onto a solid wall so none would be much longer than those supplied by Master Lock. What are the letters A & B for? Can I set two different codes with them? The A and B codes are used instead of numerals to to improve the security. You cannot use 2 codes - only one. You can view the operating instructions on the PDF attachment shown above. Does it have a rubber cover that protects the digits? 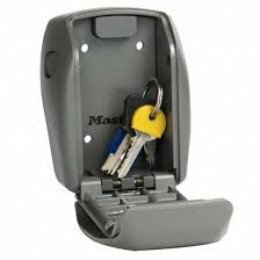 Check out all the Keyguard models, the Supra C500, the Keysecure KSDIG1K and the Phoenix Ks2 - they all have covers over the keypad.